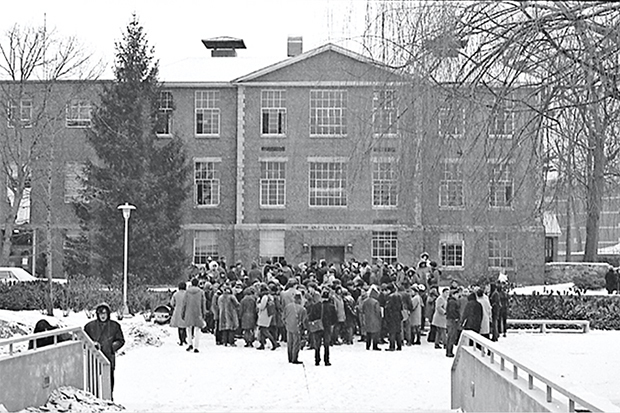 January 8, 2019 marks the 50th anniversary of the protests on campus. Photos by Ralph Norman. All images courtesy of the Robert D. Farber University Archives & Special Collections. January 8, 2019 marks the 50th anniversary of the beginning of the occupation of Brandeis’ Ford Hall by students who demanded the creation of an Afro-American and African studies department. View images from the student protests in the slideshow above. Read more about the Ford Hall occupation and the history of the Department of African and African-American Studies in Brandeis Magazine’s “Hard Truth-Telling” by Chad Williams, the Samuel J. and Augusta Spector Chair in History.